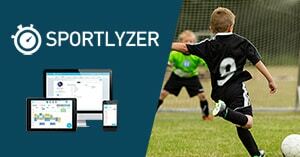 Once you've downloaded the Sportlyzer Player App or Parent App and entered your e-mail, you receive a confirmation email for accessing the app. The first step is to click on the first link in the e-mail, which should redirect you to Sportlyzer Player or Parent App. If this doesn't work, then the next step is to copy-paste the second link in the email into your phone's internet browser. PS: make sure you're not opening it from your computer! Sometimes, though, every gadget runs into an error. So in case neither of these steps works, try downloading another internet browser on your phone and opening the link in there - so, for an example, if you've been using Chrome on you're the phone and having these issues, trying Safari might help. You can read more about accessing the Player App and Parent App here.